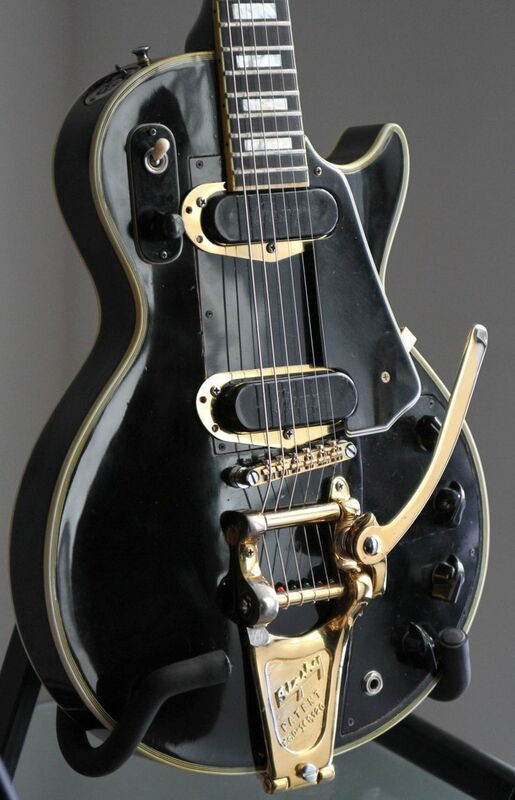 A prototype guitar developed by electric guitar pioneer Les Paul that was known as Black Beauty could sell for over $2 million. NEW YORK — Guitar Player magazine mentioned Eric Clapton, Pete Townshend of The Who, and Peter Frampton. Arlan Ettinger, the president of Guernsey’s, an auction house on the Upper East Side, mentioned more: Paul McCartney and George Harrison of the Beatles, Jimi Hendrix, Jimmy Page of Led Zeppelin, Frank Zappa, Carlos Santana, Sheryl Crow, Lenny Kravitz. But before there were all those guitars, there was one, a prototype that came to be known as Black Beauty. Guernsey’s is preparing to auction it on Feb. 19 at 7 p.m. at Arader Galleries on Madison Avenue. The auction catalog does not list a presale estimate, but Ettinger said it could sell for over $2 million. It was, in fact, the second prototype, said Thomas Doyle, a luthier who worked with Paul for more than 30 years. Paul had declared the first unsatisfactory, even unplayable. A mixer that Paul used — the 16-track soundboard from the club Fat Tuesday’s in Manhattan, where Paul often performed in the 1980s — will also be sold, as will recording machines from his home studio, microphones he used, even handwritten set lists for a half-dozen Les Paul Trio appearances in the 1980s. A guitar made for Chet Atkins in 1956, known as Dark Eyes, is also on the bill. As for Black Beauty, it has a mahogany neck, ebony fret board and something called a Tune-O-Matic bridge. It even has a jack for a microphone, which Paul wanted so he would not have to lean into a microphone on a stand. Ettinger said that Paul played more than 150 shows with Black Beauty from 1954 to 1976. Doyle, 72, remembered seeing “Les Paul and Mary Ford at Home” on television, sponsored by Listerine, as a child — and the memory of the Listerine commercials figured into how he came to own the guitar. Black Beauty was made of mahogany. Doyle said that Paul loved the feel of the guitar, the way it fit his hands. Paul even thought about the look of the guitar on television.